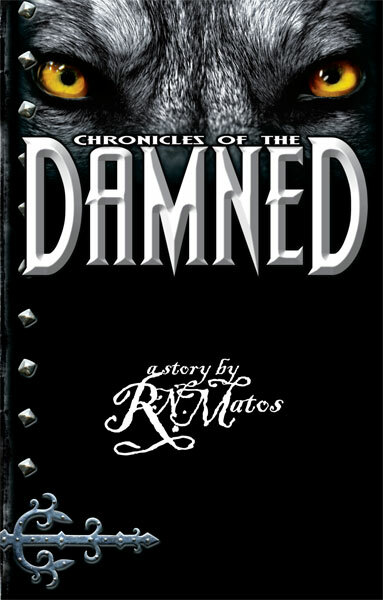 R. N. Matos: "Chronicles of the Damned"
William Woodall: "Cry For The Moon"
Billy Lee has written into the Werewolf Cafe to recommend William Woodall's book, "Cry For The Moon". Just found a new werewolf book that I really liked. It's called 'Cry for the Moon' by William Woodall, and I thought it was highly unusual in the way it approached the subject. It's a clean book that I think anybody could read and enjoy. You can read half of it for free on the author's website and also see some reviews and things if you want to. Check it out! Hello horror fans and my Blood Moon Rising Legion. Once again the Magazine For All Things Horror has come again and with it comes our 35th issue and our 8th Anniversary issue as well. Wow eight years of bring you this publication in its print form and now in its new online format that you so love. First of all went you go into our main wen site at www.BloodMoonRisingMagazine.com and click on the new issue on your left hand side bar be sure to give a good look at this issues cover done by Tony Diana who gives us his walking dead girls. Also see more of his dead on the go inside in our art department along with art by our very own Sandy Reece. Also there's new Creature Feature art by our own Sam Wallace with his take on Bat Man in the feature. The howl of the night beast can be heard once more as Werewolf Magazine Issue #8 is on the hunt and looking for new readers. This is our 3rd Anniverasry issue and we want all Werewolf Cafe fans to have a copy. Please see our publication on our web site @ www.BloodMoonRisingMagazine.com and find out how you can order this publication devoted to all things werewolf. Also see our 3 werewolf books from our author AL J. Vermette Lucan: Heart of The Warrior, They Hunt By Night and Lycanthrope: Nature of The Beast. 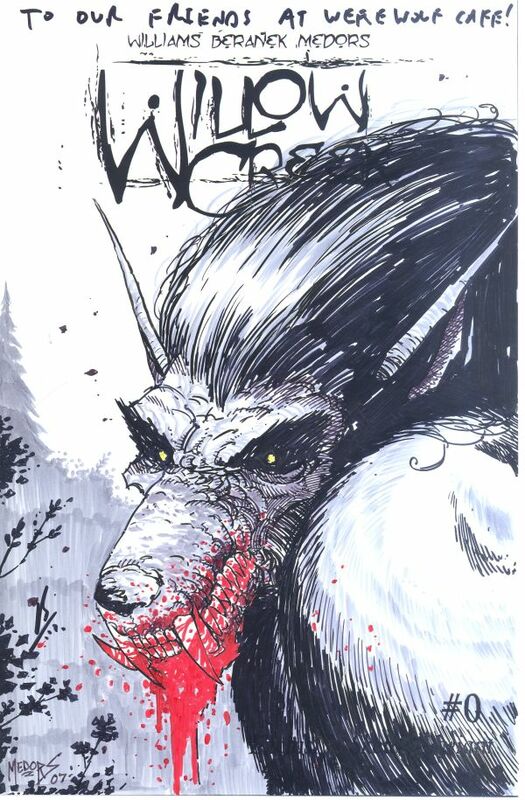 All books and Werewolf Magazine can also be ordered right from the publisher signed and shipped right to you. It's time to bring the beast home....he's waiting for YOU! It's been a long time, but I really wanted to share this with you. 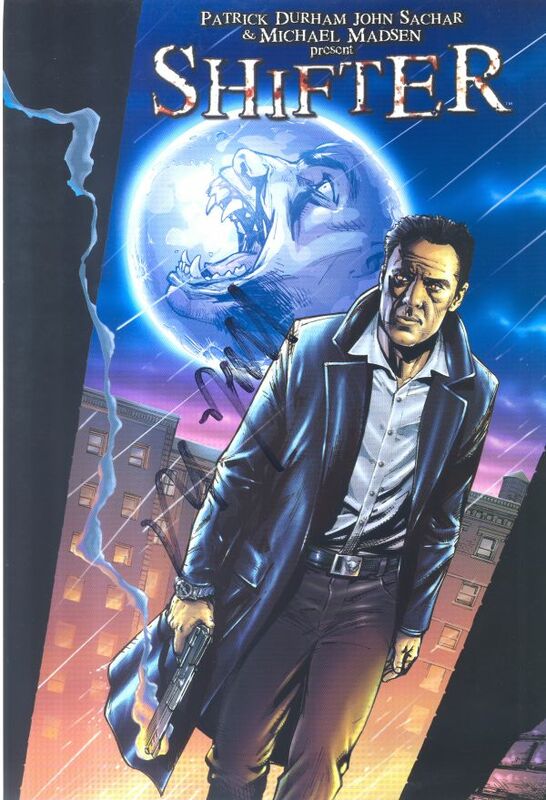 This is the retail-edition cover for "DEATH WALKS THE STREETS Issue #0" - debuting this June at Wizard World Chicago. Want to be a Werewolf in William Meikle's next novel? William Meikle is offering some lucky person the opportunity to be a werewolf in his next novel. I'm offering someone a chance to be a werewolf in my next novel. On my birthday, 25th January 2008, I'll be choosing a person who will be written into the book I'm currently writing as one of the werewolves. The signing up details and FAQ are all at the event page here http://www.facebook.com/event.php?eid=21283852352. 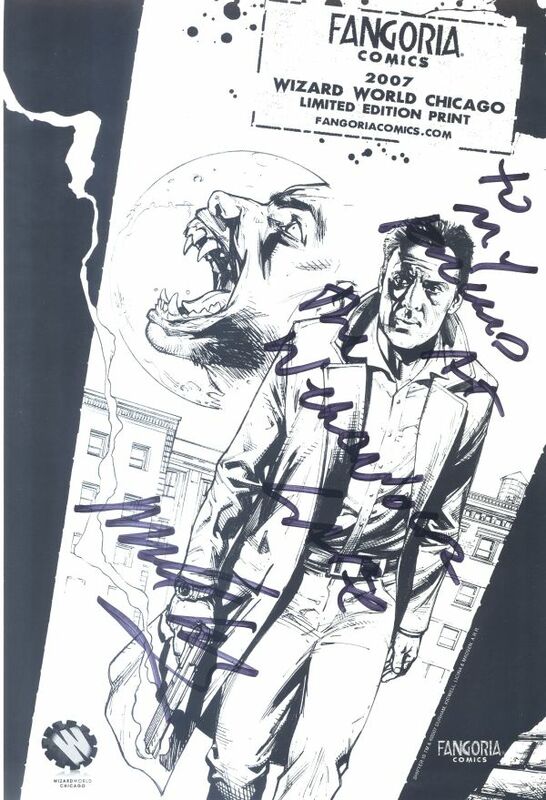 A big thank you goes out to actor Michael Madsen for autographing this "Shifter" promotional sheet for The Werewolf Café. 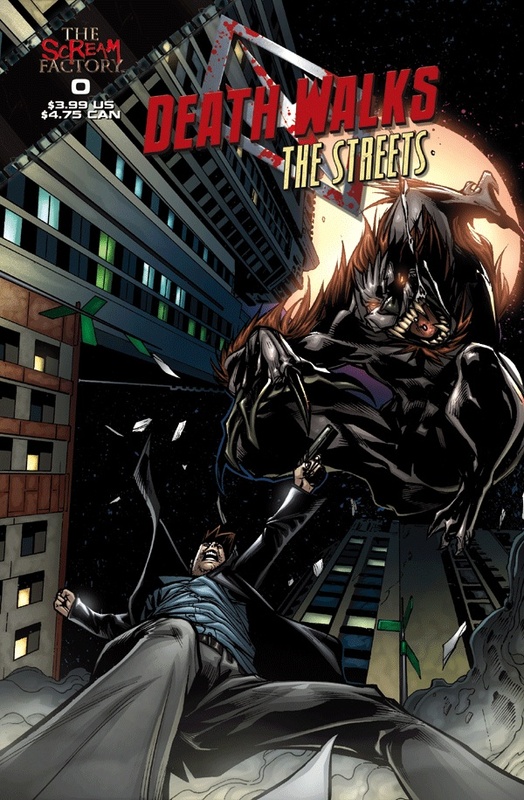 "Shifter" is a new werewolf comic book series that is currently being worked on. Note: A very special "thank you" also goes out to Scott Licina. Thank you Scott! 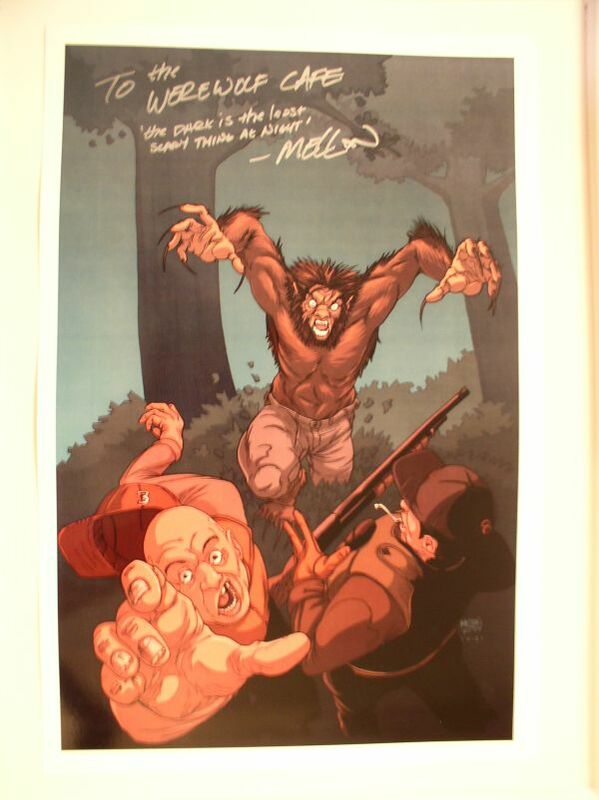 Kevin Mellon is the artist of a new werewolf comic book series titled "Thirteen Steps," and another "thank you" goes out to him for autographing another promotional "Thirteen Steps" picture for The Werewolf Cafe. You can check out Kevin's blog at aimsatellite.blogspot.com and the "Thirteen Steps" forum here on this site. Tyler Never fit in, everyone always looked at him like he was different. Set out on his own, and as he hikes into Zion National Park, he realizes he has come home. What he didn't realize is, he was not alone. This is a copy of "Willow Creek" (#0), which starts off a new werewolf comic book series from Zenescope. This particular copy has original cover artwork by artist Josh Medors and is signed by writer Christian Beranek and artist Josh Medors. We also want to mention that Denny Williams is other writer and co-creator of "Willow Creek". Thank you Christian and Josh! Check out the Zenescope website at www.zenescope.com and check out the "Willow Creek" forum here on this site.